Driving Lessons Stevenage and surrounding areas. Wide range of Driving Courses available. Fully Qualified ADI Approved Driving Instructors. Wide range of courses available. 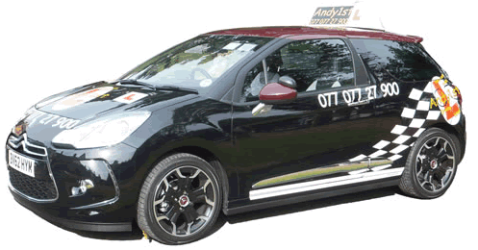 If you are looking for first class Driving Lessons Stevenage at a reasonable cost then choose Andy1st Driving School in Stevenage. We offer you driving lessons at the best price around.. If you have any questions to ask, then please contact us. Driving Instructors all fully qualifed. Male or Female Driving Instructors. Automatic or Manual Driving Lessons. Free pick up, home,college etc. Available on Evening and weekends. Pass 1st time with Andy1st Driving School. We offer Driving Lessons in Stevenage and all surrounding areas. We ensure you that if you choose Andy1st Driving School in Stevenage you will not be disappointed with the high standard of service that we offer. Our driving instructors in Stevenage are all fully qualified and registered with the Driving Standards Agency. We will offer you an excellent service at an unbeatable price..
We will also help you with your Theory Test preparation and also offer all of our students access to our free online software. Pass your practical driving test with our driving school and become a very safe driver. Our Driving Instructors Stevenage want to help you enjoy taking your your driving lessons and feel confident driving alone after passing your test. Andy1st Driving School Stevenage. We feel that we will offer you a better service, at a better price, than all other driving schools in Stevenage. Join our Driving School and we will make sure that you really enjoy taking your Driving Lessons Stevenage. Various Courses to suit all. Take your Driving Lessons on a regular, weekly basis at a pace to suit you. Intensive Driving Course in Stevenage, for those who want to pass their driving test in a week. Pass Plus Course in Stevenage : Pass your driving test and then gain even more experience. All of our pupils have access to our free theory test software. We are currently looking for driving instructors in your area to come and join our expanding driving school. Check out our excellent driving school franchise packages here. We have been delivering first class Driving Lessons Stevenage since 2001. At our Driving School in Stevenage we have helped many people to pass their driving test and become very confident and safe drivers.